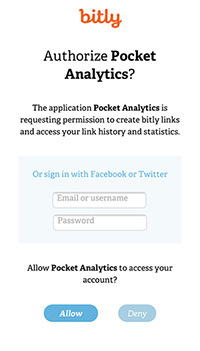 Pocket Analytics provides support for the full Bitly API - giving you instant access to clicks on your bitmarks. Enter your username and password, and tap "Allow". 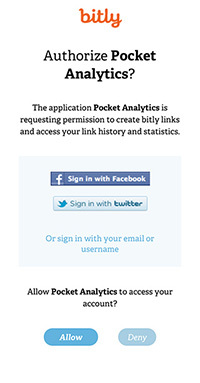 All communication with the Bitly API is encrypted using https.